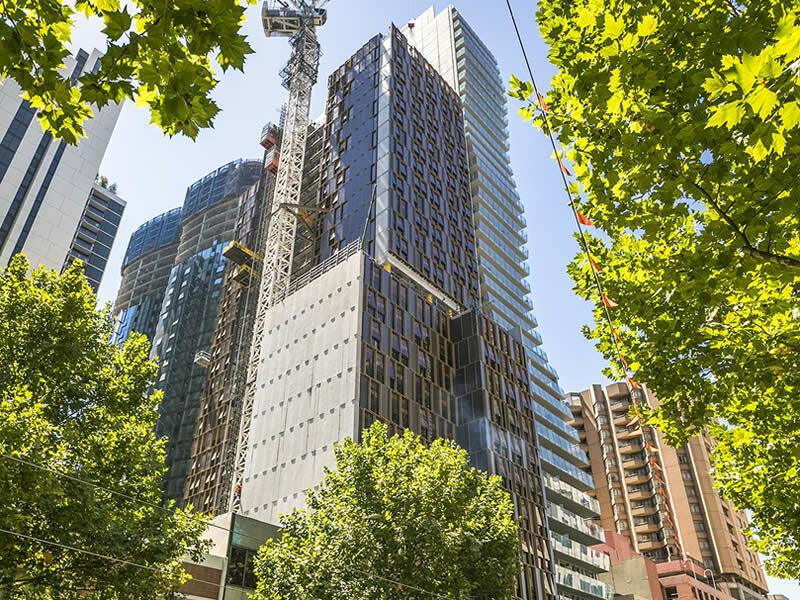 At nearly 150 metres high, 50 La Trobe Street will be one of the world’s tallest student accommodation projects to use prefabricated construction methods. 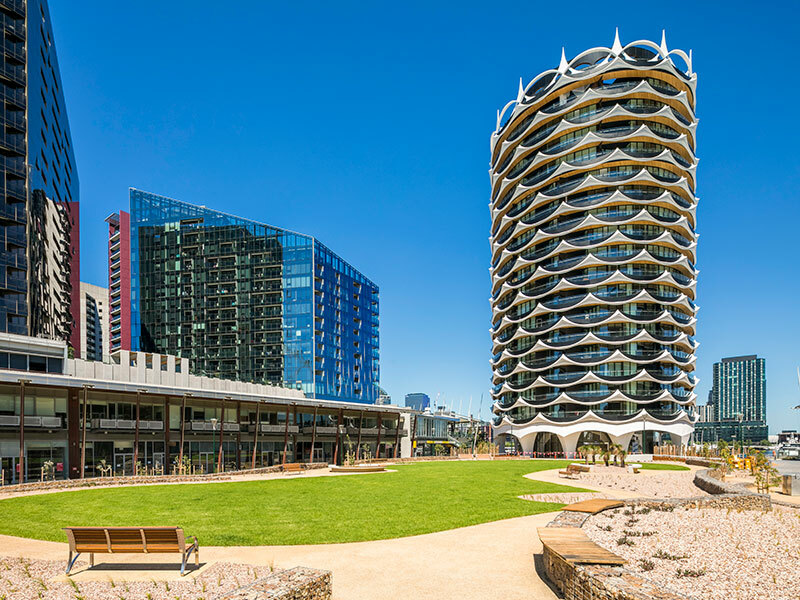 The 783-bed project includes a 43 level tower and a 7 level building at the rear of the site with ground floor café and public access laneway. 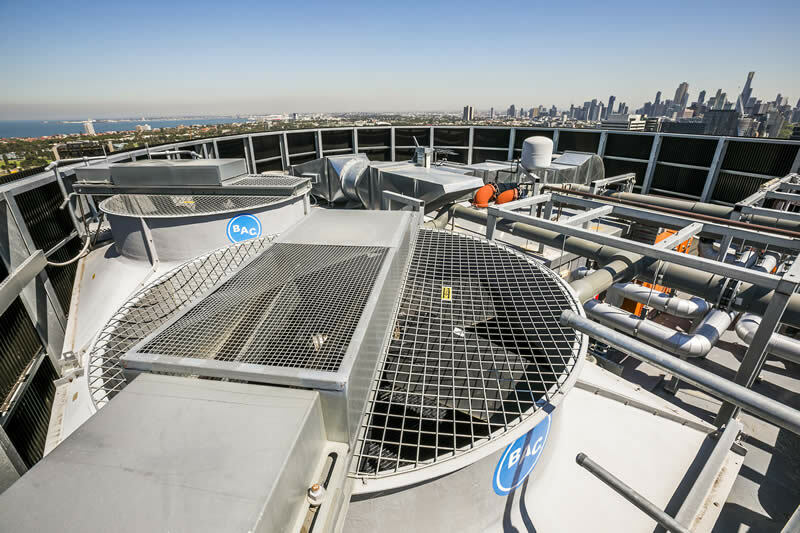 The A/C systems is designed using a Mitsubishi water source VRF system to the 43 level tower and a Mitsubishi air cooled VRF system to the 7 level building. 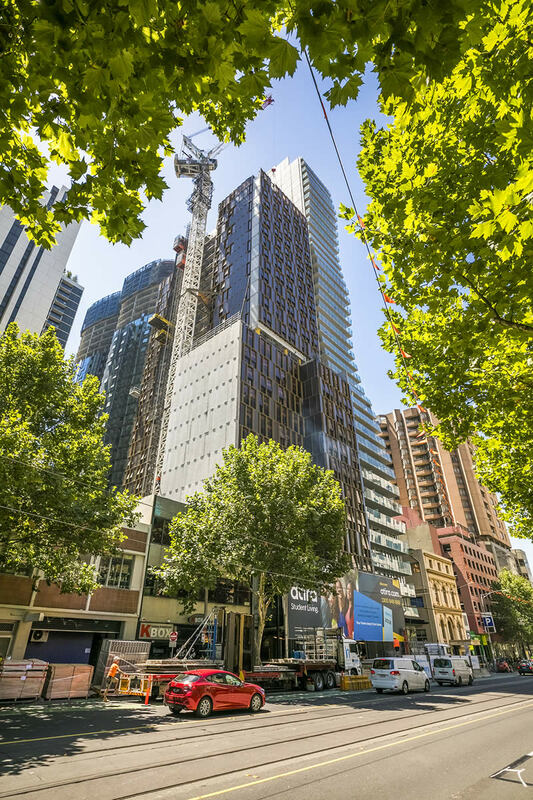 A premium residential development on Melbourne’s St Kilda Road, Opera features an iconic, glass façade that undulates upward over 19 stories. 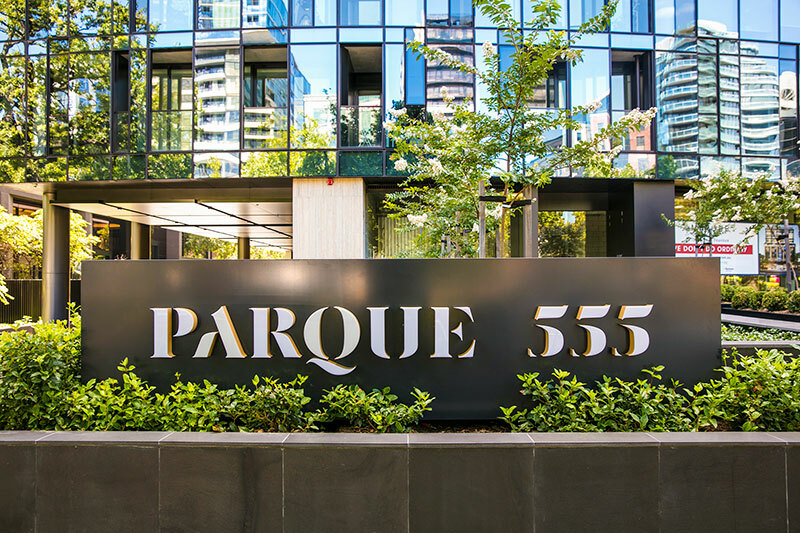 Comprising 228 apartments across one, two, three bedroom and penthouse configurations. The project will feature extensive luxury facilities for residents including the services of a private concierge, personal trainer, yoga instructor, art curator and sommelier. The scope of work also includes the construction of a private dining room, pool, gym and temperature controlled wine cellar. A wide range Fujitsu A/C equipment has used throughout the project including VRF and standalone type units. An Air Change ERV package unit has been used to provide ventilation to the indoor pool area. 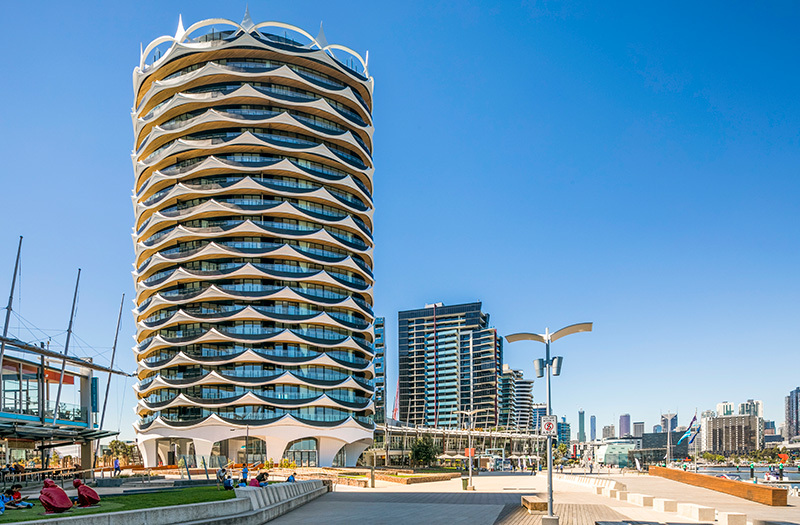 The 18 level residential tower is highlighted by striking architecture inspired by the native Australian Banksia flower, replicated in the curved structure and circlet-crown façade. 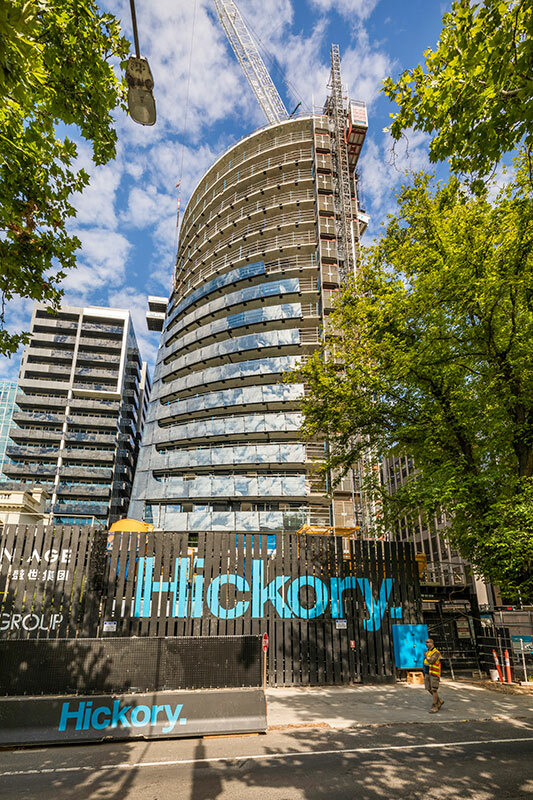 The project comprises 108 high-end apartments, configured across penthouse, sky-home and classic apartment iterations. Common areas include a rooftop health club complete with infinity pool, a ground floor café and basement car parking level. All apartments feature Mitsubishi ducted VRF systems complete with flangeless linear grilles. Design and installation of the complete Mechanical System. We have designed the system using a condensed water loop serving water source package units. Due to limited height in the basement, a Jet Fan extraction system was adopted. GSA Pelham project is the pilot Student Accommodation Facility in Australia for Global Student Accommodation Group. 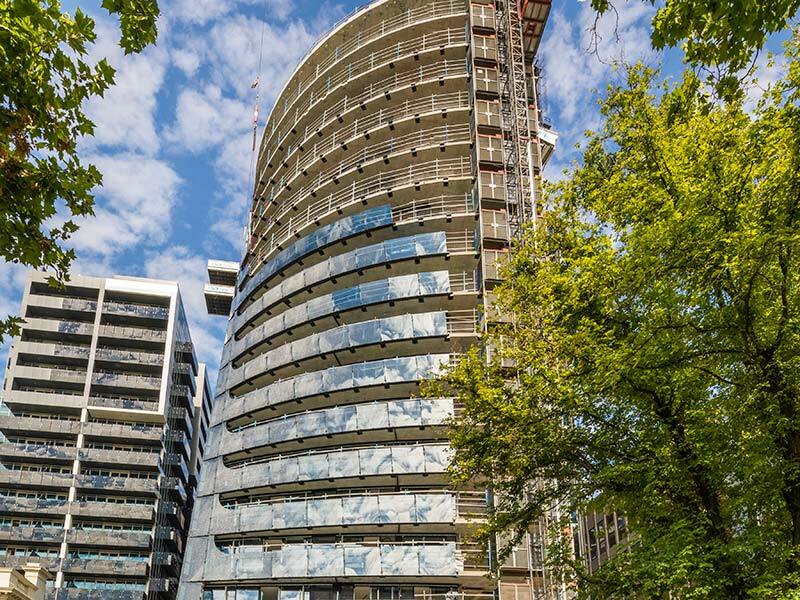 This project consists of 242 Apartments and has a 353 Bed capacity. It also has dedicated communal socialising and study spaces, and a retail outlet. Mitsubishi VRF A/C has been installed throughout the complex. Design and installation of the complete mechanical system using Temperzone water source package units. Due to the height of the building, a mid-level plant room was required. This presented the complex challenge of designing and installing the cooling tower within the plant room whilst maintaining compliancy. Installation of the mechanical system including the four theatres, each with their own Parragon Air Handling units on the roof. A reverse cycle Climaveneta Chiller was used to heat and cool the theatres. A Daikin Air Cooled VRV system was used to heat and cool the ward and common areas. Due to issues with crane access, a helicopter was used to lift the chiller and air handling units onto the roof. Design and installation of the complete mechanical system using a LG water source VRF system. 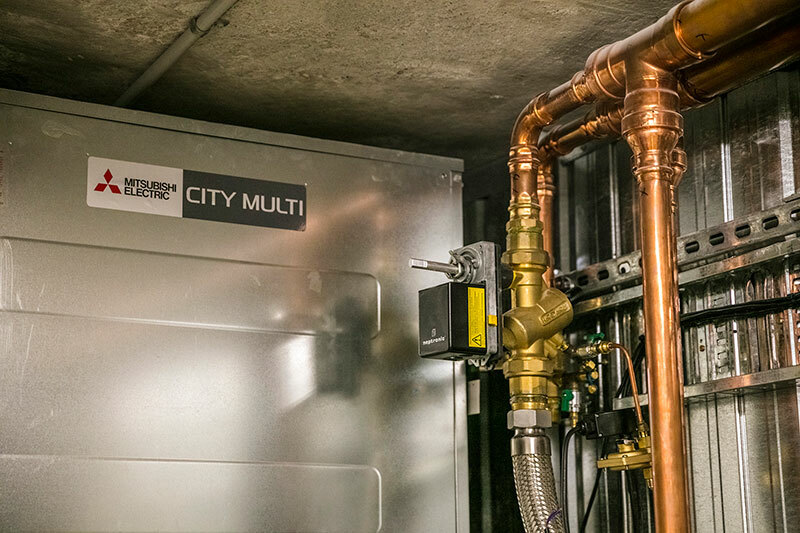 Due to very limited floor space, the water source condensers were fit within the service cupboards on every second level. 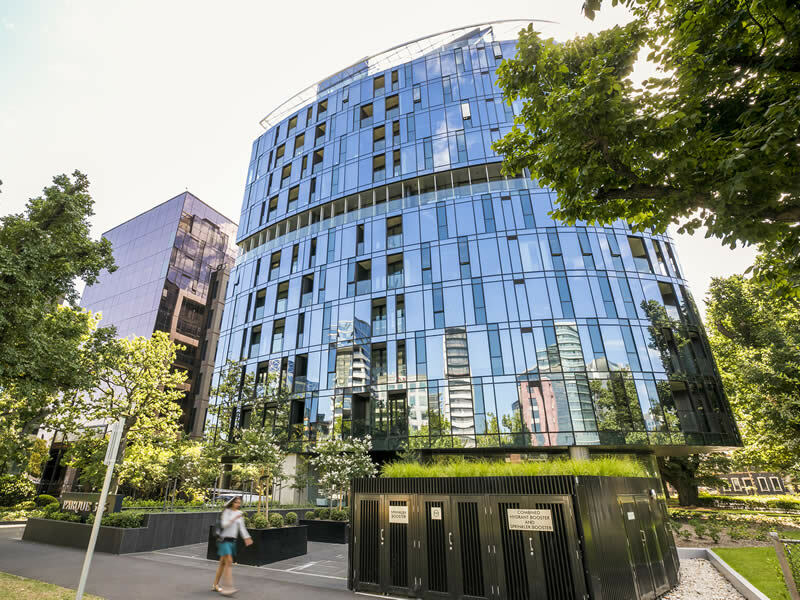 This was the tallest modular building constructed in the Southern Hemisphere. 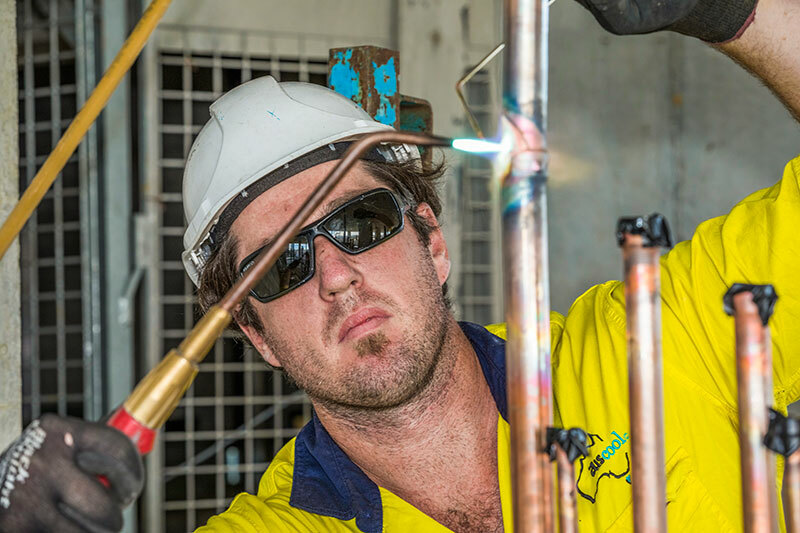 Due to limited space on site and an accelerated program Auscool were required to pre-fabricate all water sourced VRF units off site. 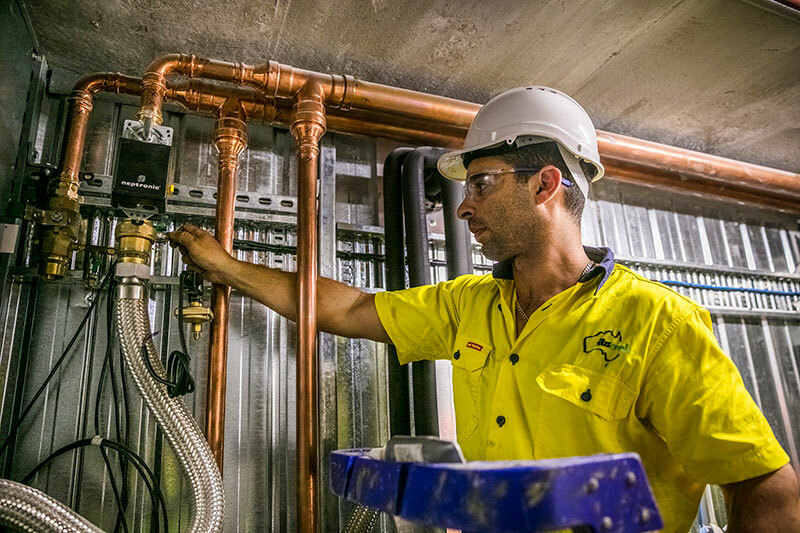 Installation of the mechanical system comprising of a Mitsubishi chilled water / heated hot water VRF system - one of only a few jobs completed using this system in Australia and the first of its kind in Victoria. Mitsubishi has maintained onsite support to ensure the successful delivery of this project. Design and installation of the complete mechanical system. The office A/C utilizes Mitsubishi Air Cooled VRF system. 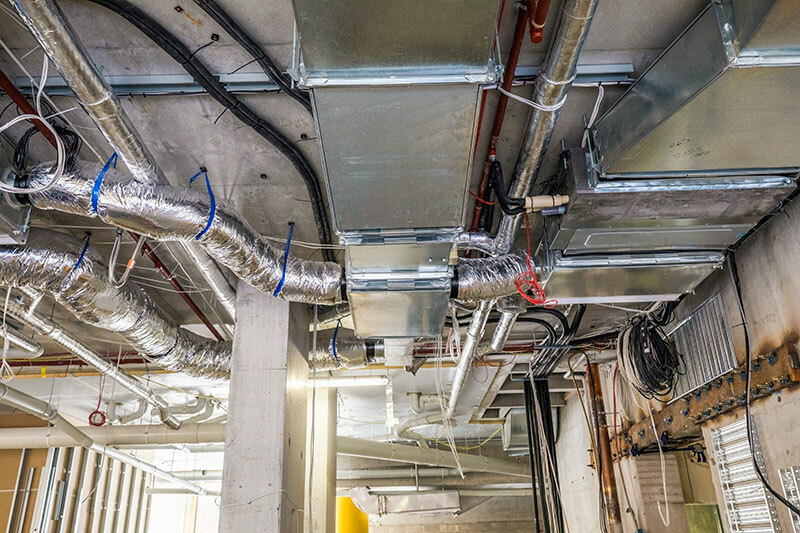 Design and installation of the oxygen reduction room ventilation and the battery room ventilation which incorporates a hydrogen detection system.